If you’re searching for a pediatric dentist in Woodbridge, look no further than Woodbridge Family Dental! The key to being a good family dentist is the ability to specialize in different fields of dentistry. We meet this criterion by serving the Woodbridge community as a pediatric dentist! We offer dental services for every stage of life, starting at the age of 6 months, so the needs of your entire family are met. As a general rule, we suggest parents bring babies in to see our pediatric dentist within 6 months of cutting their first tooth, or by their first birthday. Parents always want the best for their children, and this includes the best teachers, the best doctors and the best dentists! We understand that finding the right pediatric dentist in Woodbridge, VA can be a challenge.  Our dental staff has found the perfect balance between personal and professional. This allows children to enjoy their visit with our pediatric dentist, all while getting superior dental care. Is the office environment welcoming & friendly? Does the pediatric dentist put your child at ease? Is there something for your children to do while they wait? Can you see positive results in your child's dental health? 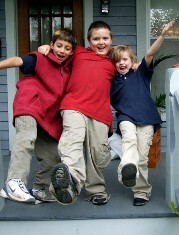 As children grow, they are developing habits that they may keep for the rest of their lives. As pediatric dentists, we are committed to helping local families implement positive oral habits that maintain dental health and appearance far into the future. It is important for your child’s future oral health that you invest in the best pediatric dental services now. Pediatric Dentistry with a Difference! Affordable pediatric dentistry is a concern for many Northern Virginia families. When you choose us as your pediatric dentist, you can rest easy knowing that we work with you to ensure that your family always gets the quality dental care they need. If you are interested in learning more about our pediatric dentist, call (703) 661-9607 Woodbridge Family Dental here! We proudly serve patients from Woodbridge, Dale City, Dumfries, Manassas, Triangle and Stafford, Virginia.